Professor Karl Ekdahl is a world renowned specialist in infectious diseases and medical doctor . Prof Karl is done his MD (Medicine) in 1986 and PhD in 1995 from the Lund University, Sweden . Prince Mahidol University, Bangkok, Thailand (DTM&H), and the London School of Hygiene and Tropical Medicine (MSc). In 1999 he became Associate Professor and in 2007 Adjunct Professor in Infectious Disease Epidemiology, at the Karolinska Institute in Stockholm. He has authored some 100 scientific articles and two books, and has tutored 10 PhD students. Between 2007 and 2011, he was the Editor-in-Chief of the scientific journal Eurosurveillance. Professor Ekdahl has worked for more than 20 years with communicable disease prevention at regional, national and international levels. 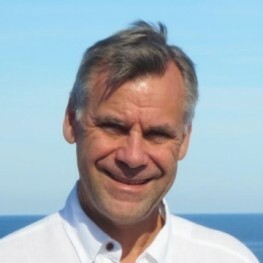 Between 2001 and 2005 he held the position of Deputy State Epidemiologist for Sweden, and for 2 years he was also the Communication Director for the Swedish Institute for Infectious Disease Control. In March 2005, Karl Ekdahl was the first expert to join the new European Centre for Disease Prevention and Control (ECDC), where he since then has he has held various leadership positions including acting Director. Most of his professional work has taken place in international and multicultural contexts in Europe, Africa and Asia, where truly understanding the needs and motivations of colleagues, stakeholders and counterparts has been the key to successful collaboration. This could only be achieved through active listening. Karl Ekdahl has a passionate interest in personal growth and the importance of developing also the creative and spiritual aspects of one’s life, and he is presently working on an inspirational book on creativity, based on modern neuro and behavioural sciences. His engagement in the Global Listening Centre is a personal one and not linked to his present employment.